* The base is like a forest woods and dry grass with a slight hint of musk. When I travel to Europe, I try to find perfume lines that aren’t in the US. I was at Different Light in Berlin where I found the Torre line. 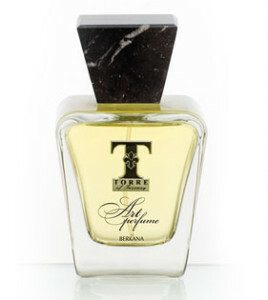 I enjoyed several scents, but it was the odd sweetness of Berkana that moved me. The perfume surprised me. Cedar and vetiver are two notes that my skin hates. My skin basically turns those two notes into rancid monstrosities. For some reason, the base of vetiver and cedar smells really good on me. It just goes to show me that on my fragrance journey, I need to keep trying stuff even if I think I won’t like it.. because I will never know until I try. Torre Berkana is available from Neos 1911, First in Fragrance, and Tuscan Made. Disclaimer: No disclaimer needed, I purchased a bottle.